1. 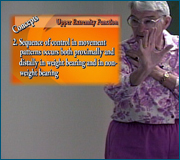 Learn to assess the prerequisites of upper extremity function, such as the base of support, trunk mobility and control and shoulder girdle mobility and control. 2. 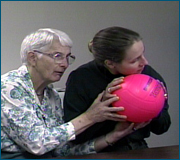 List ways to assess the prerequisites for upper extremity function. 3. 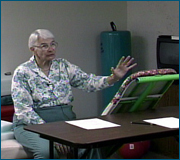 Observe facilitation of weight bearing on the upper extremity in various positions to increase stability of the shoulder and strengthen the muscles of the upper extremity. 4. Appreciate the need to apply a sequence of activities to develop better function of the upper extremity. Level II Introductory/ Level I required (SEM2A or equivalent).